" If you believe you use TeamViewer exclusively for private purposes, please contact us through this form for TeamViewer Commercial Use Suspected." However, the link (https://www.teamviewer.com/en/support/commercial-use-suspected?_ga=2.232309078.858688994.1520303336-... ) is broken. How can I report that my use is private without this form? The form is the only method. What do you mean it is broken? 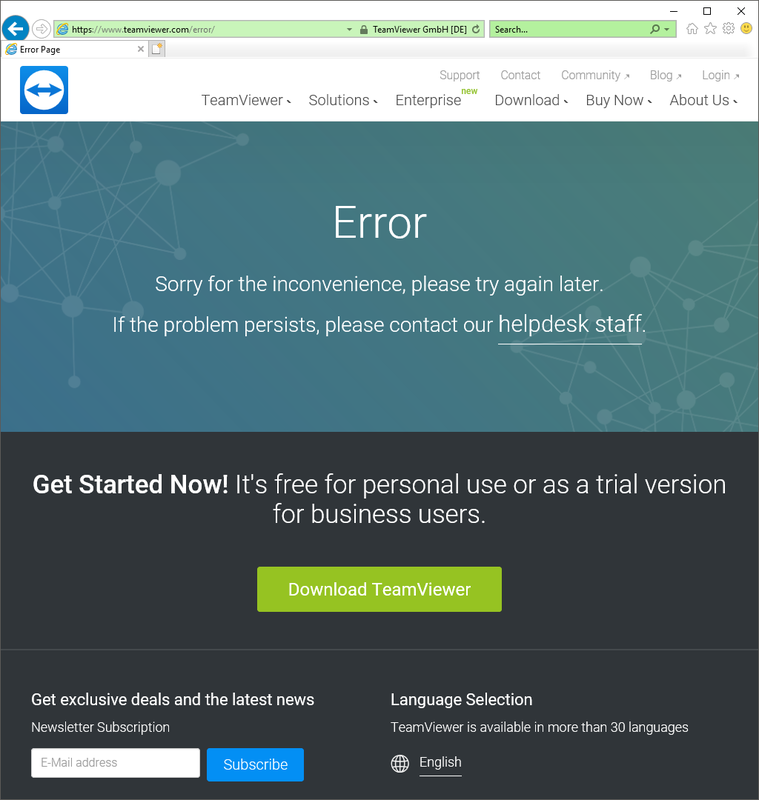 I have just tested the link https://www.teamviewer.com/en/support/commercial-use-suspected/ and this is working fine. Can you explain the issue or maybe try on a different browser? Form error still persists as of 3/28/2018. Tried Chrome again and even Internet Explorer 11. Same issue occurs in both browsers. 4/4/2018 and the form is still broken. If anyone else encounters this issue, just pare down the text in the usage explanation box until the form submits. Can you please try again to report your case? The page should now work again. Thank you and sorry for any inconvenience caused.